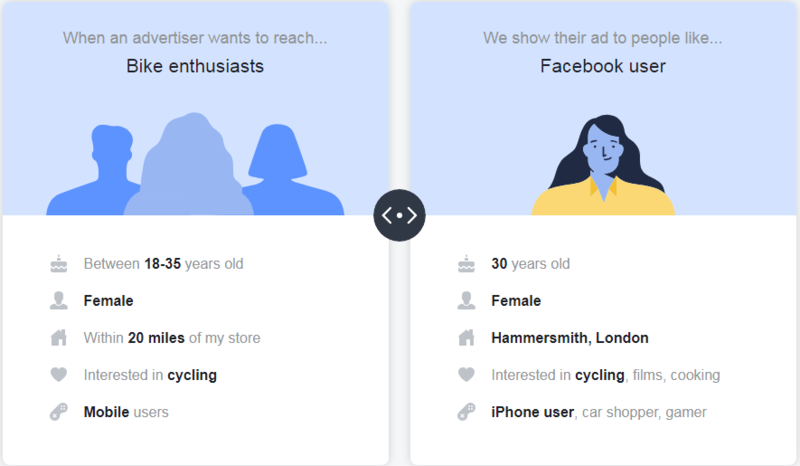 If you're unsure how to define the "audience interests" for your Facebook or Instagram ad in BOMA, here is a guide with a few tips which will help make the process easier. How do people use Social Networks? People are on Facebook and Instagram looking at things that interest them. For example, posts shared by friends on Facebook, images from people they follow on Instagram, articles shared by websites or information on places or locations they enjoy such as restaurants. They may not necessarily be looking for you. Audience Interests allow you to target people specifically interested in a subject (or Facebook page) that is also related to your product. For example, you could target people interested in a product or service that you offer, your competitors, your industry as a whole or magazines and blogs that cover your market. Think about your ideal audience (you could use existing clients to help build the picture). Interests could include sports, events, their education, hobbies, a business vertical such as agriculture or pharmacies or small business. Start typing an interest and a list of options will appear.